KATHMANDU, Dec 5: While Nepal Police claims that kidnapping cases have declined over the last few years due to increased police vigilance, data maintained by Nepal Police itself show that kidnapping cases increased by 29 percent in last fiscal year compared to the year earlier. 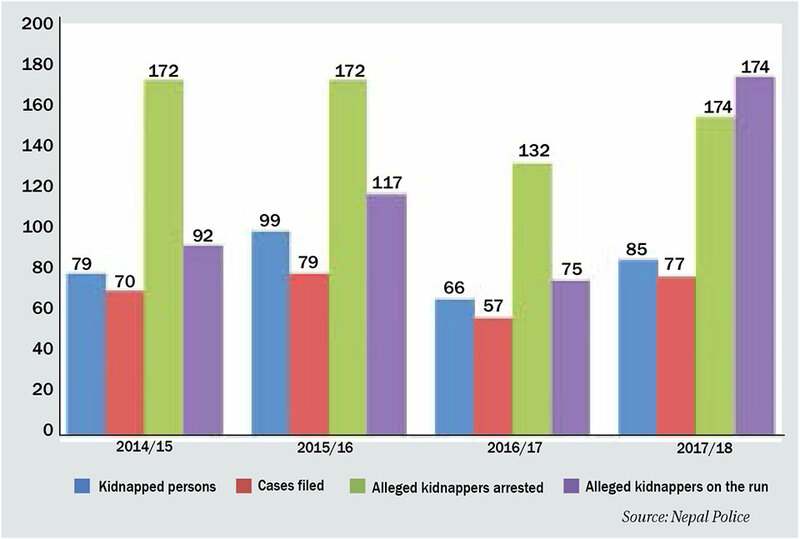 According to a five-year comparative data maintained by Nepal Police, although the number of kidnappings saw a decline from fiscal year 2013/14 to fiscal year 2016/17, it rose by 29 percent in fiscal year 2017/18. A total of 66 persons were kidnapped in fiscal year 2016/17 and such cases rose to 86 in fiscal year 2017/18. Altogether 79 persons were kidnapped in the fiscal year 2014/15 and 99 were kidnapped in fiscal year 2015/16. On the increased cases of kidnappings in the last fiscal year, spokesperson of Nepal Police SSP Uttam Raj Subedi said that majority of kidnappings during the year were over unpaid loans. SSP Subedi claimed that kidnapping cases have seen a decline over the last five years. 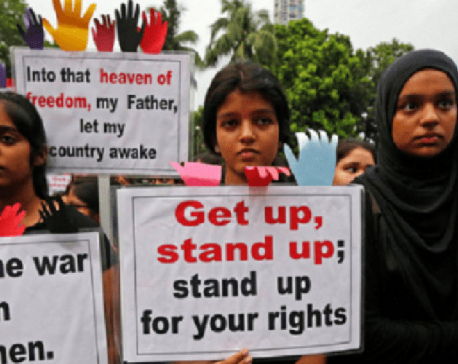 But police data show that the number of kidnapping complaints registered at various police stations nationwide has increased by 35 percent in the last fiscal year. The total number of kidnap complaints rose from 57 in fiscal year 2016/17 to 77 in fiscal year 2017/18. Seventy complaints of kidnappings were registered in fiscal year 2014/15 and 79 complaints were registered in 2015/16. Police data of the past five years show 43 percent of those accused of kidnappings are still at large. A total of 1,108 individuals were accused in kidnapping cases and 478 are still on the run. When asked why have the police not been able to arrest them, SSP Subedi said most of them are abroad. He said they have learnt that most of those accused are hiding in India and several Gulf countries.